Investing in a superior quality garage door for your home comes with a great number of benefits and long term advantages. Replacing your garage door with a modern effective model is one of the few upgrades you can make to your home that will increase its value, improve its functionality, and strengthen its safety and security. Top garage door brands like Unique has innovated garage door technology to make them become more energy efficient, quieter, and durable withstanding extreme weather conditions. Although, different budgets and preferences come into play for specific individuals, here is the breakdown and comparison of Unique Garage Door and the average garage door competition. If you’re simply on the hunt for a basic garage door model, consider the Unique Garage Pan door. Available in different painting color coatings and style options, their basic garage door models are reliable and industrial-strength certified. 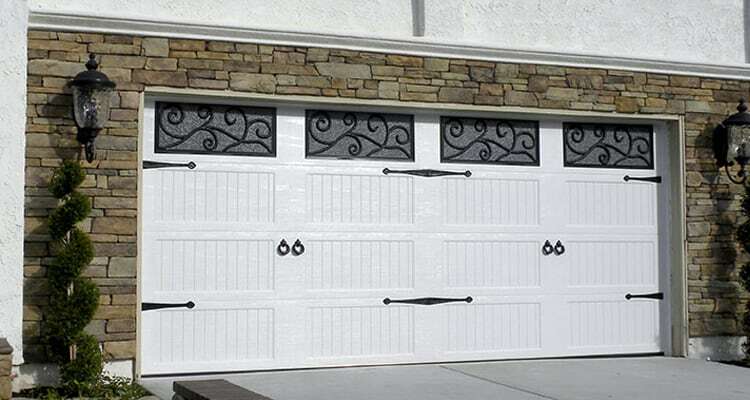 An average garage door upgrade retains about 88% of its value. Not only will your ROI look great for profits and future home selling, but your cooling and heating costs will make a great difference for your wallet as well. 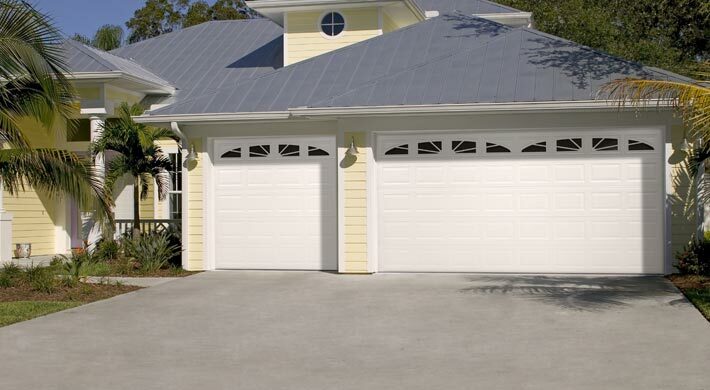 Invest in the ultimate garage door models offered by Unique. In the following advanced model by Unique, their design possesses trusted security, triple layer toughness, and silent operation. Because Unique has the thickest steel doors, ensure the optimum safety, durability, and energy efficiency their advanced model have to offer. 1. Gauge Steel/Panel Construction: When it comes to the number of gauge steel; the lower the number, the thicker the steel. Unique panels are 124 gauge steel and Amarr is 125, slightly thinner than Unique. 2. Design: Both designs from each brand have the same overall look and style. Usually, HOA isn’t a problem as long as the overall design is similar (8 squares on each section). 3. Paint: Unique doors are painted with a powder coated paint that’s baked on during the coating process. Unique’s paint is twice as durable and longer lasting than Amarr. 4. Hardware: Unique has patented hinges with nylon bushings which give it a quieter operation. On the other hand, Amarr’s hinges are completely steel and may be a bit louder because of the metal to metal contact. When it comes to the end hinges, Amarr’s hinges stick out from its door side due to its design, but, compared to Unique, the design for their end hinges are completely flush with the door sides. Garage rollers also play a key role in the garage door function. Unique’s design comes with ball beating rollers that are self-lubricating. In addition, they are able to withstand an extreme amount of weight and is known for longer lasting cycles. In contrast, Amarr comes with nylon rollers (simple wheel design) and no bearings. 5. Insulation: Because Unique’s garage doors are factory made, the insulation is glued onto the door and coated with a thick plastic. This prevents peeling, fading, or eroding. Amarr’s insulation are inserts, meaning the insulation piece are manually removable. Because the insulation is not integrated into the garage door, they do move and wiggle a bit more in operation. 6. Noise: Keep in mind that the heavier the door, there’s an increase in noise level. Unique’s patented design is extremely quiet and because of Amarr’s insulation design, there is slight squeaking when opening and closing the garage door. No matter what garage door model or style you decide to go with, our certified professionals at American Veteran Garage Door are ready to consult and install your garage door in the same day. Our team is fully licensed and insured to provide the leading garage door installation service across the Las Vegas valley.